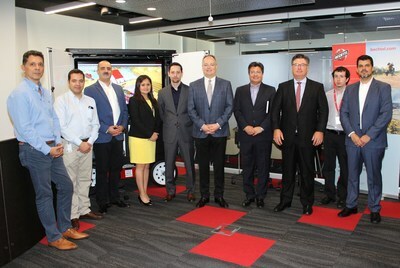 SANTIAGO, Chile, Dec. 19, 2018 /PRNewswire/ — The global engineering, construction, and project management company Bechtel has opened the Bechtel Mining & Metals Innovation Center to lead the development of new technologies that boost productivity, promote environmental sustainability and improve worker safety for the copper industry. The Bechtel Mining & Metals Innovation Center is the result of an initiative begun three years by Bechtel’s Mining & Metals business unit, which is based in Santiago, to leverage the company’s construction expertise and copper concentrator design to achieve greater efficiencies in mining projects. The center will promote the latest processes and technologies that add value to Bechtel customers by increasing productivity from the early stages of studies to project delivery. “We are thrilled to open this center in Santiago to demonstrate how we are leading innovation in the EPC/EPCM industry to deliver better projects to our customers throughout the region.” said Paige Wilson, president of Bechtel’s Mining & Metals unit. The innovations Bechtel already has developed will enable a step change in construction productivity to deliver safe, high-quality projects faster, at lower cost and reduced risk. These innovations are now available to our copper industry customers. The center, which is located at the Mining & Metals headquarters, will drive productivity innovations that focus on delivering low-cost plants through lean design techniques, engineering for installation and construction technologies. 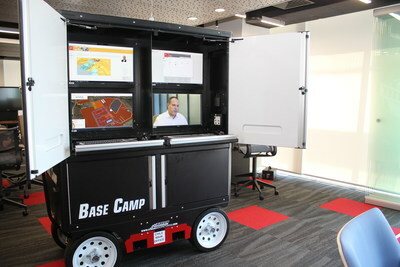 This is Bechtel’s first innovation center in Latin America. The center aims to make construction jobs safer and more efficient by training workers to use cutting-edge tools. The center also will convene entrepreneurs with Bechtel specialists and industry innovators to improve designs and delivery options. The center will also be used to develop and demonstrate technological innovations available to improve product recovery and decrease water and power consumption, thus reducing operational costs for our customers.